A Life at Our Home post is long over due. (You can find my last post HERE). I'm so excited for this Summer. All of the kids are out of school. It will be a quiet, lazy Summer for us. We're planning very few events/vacations. We're going to have picnics in the park, read LOTS of books, watch a few movies, we're going to play with cousins (a lot), and just be for a couple of months. This past school year was a busy one for us. 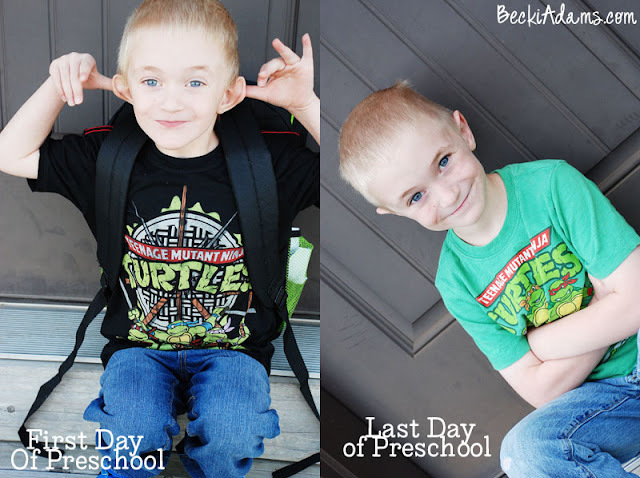 I spent SO much time running kids to and from school it seemed that I was always on the go. I'm ready for a break! 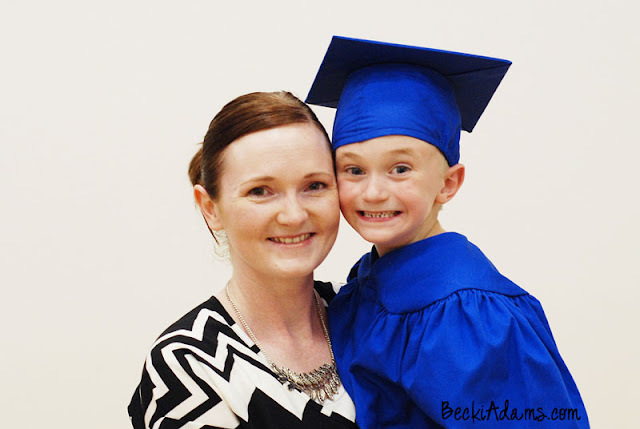 My little man graduated from Preschool today. I can't believe it. FYI I was NOT the mom sitting on the front row sniffling with streaks of mascara down her cheeks (I was in the second row, ha ha). He's my baby! I really don't know where time has gone. I know we just brought him home from the hospital, I know it! These blue eyes melt his mamma's heart. I am the luckiest mamma! 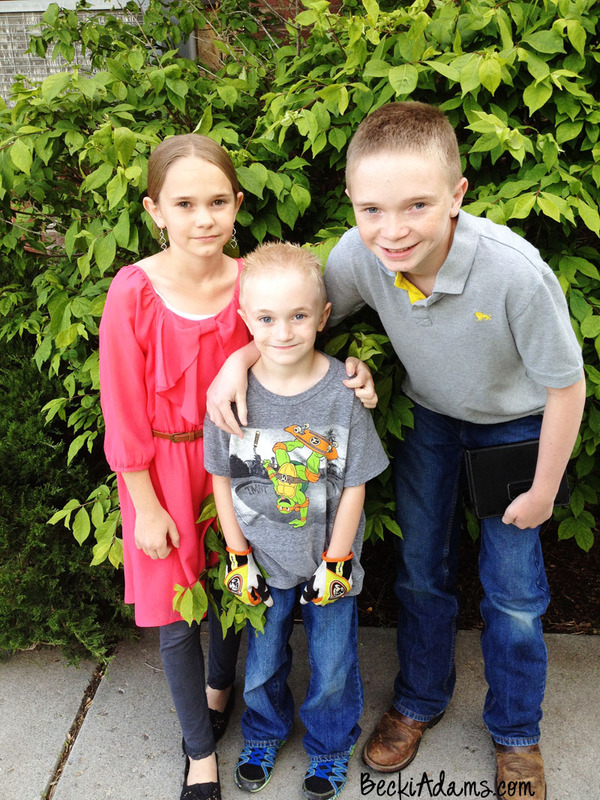 I have great kids, I'm so excited to get to hang out with them this Summer! As for my health, not much has changed, meh. I really wish I was saying that things were much better (it seems like I have said this before). I have tried a couple more treatments without any success. I am trying another one right now that I have hope for. We'll see how things go over the next month or so. The treatment requires me to have 3 shots a week. I'm too big of a chicken to give myself shots, I just can't do it. I do hope this treatment works but having to take 3 shots a week permanently doesn't sound great to me. I know that with my schedule being a little less full over the Summer things will get a lot easier for me and in turn will get a lot easier for my family. 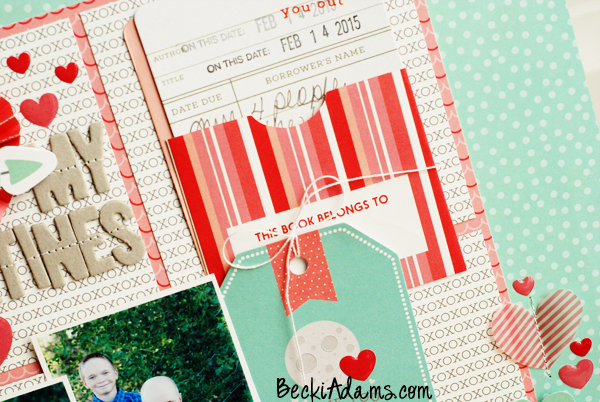 For the most part I've been keeping up with my scrapbooking/blogging commitments and I am loving it! Having more time to devote to scrapbooking and blogging is one thing that I'm VERY excited about this Summer and Fall. I'm excited (and very worried) about being home alone when all the kids go back to school this Fall. I've never been home by myself during the day. I've always had little ones to keep me company, whether it's been my own kids or my nieces and nephews. I've always had little ones. On one hand I'm really excited to have the time to devote to scrapbooking/blogging. (I've set some pretty lofty goals.) On the other hand, it's scary to think about having all that time to myself. Yikes! Regardless of what I'm doing while my kids are at school, it's a new chapter in our home and I'm going to miss them. I do have a layout to share with you today. 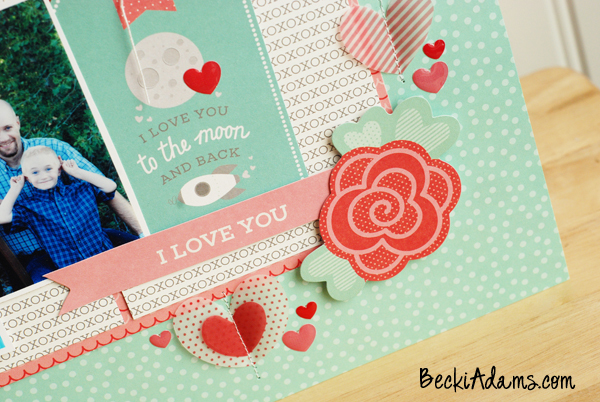 It's a Valentines layout that I haven't shared here yet. I created it with the We Go Together collection from Pebbles. I've used this collection on tons of projects and even used it for my daughter's Scrapbooking Themed Birthday Party (which was a huge success). 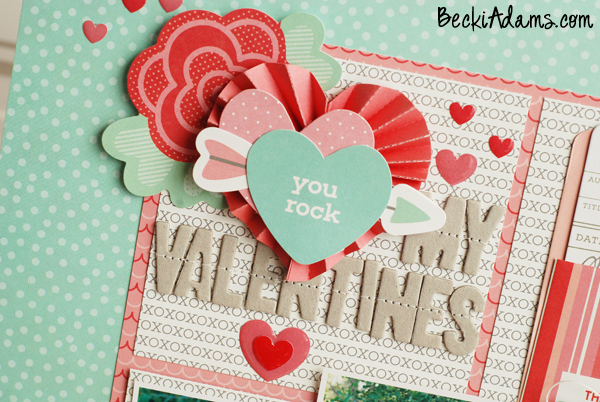 Even though these photos aren't "Valentines" photos they still work with the theme of the layout. I hand wrote my journaling on a library pocket card that is a part of this collection. Thanks for stopping by for another edition of "life at our home." I'm looking forward to a quiet Summer at home. What are you looking forward to this Summer? I hope you enjoy your Summer - will be looking forward to seeing what things you create to share with us!! I loved your last process video - helped me think through layers better!! YOU are a delight - thank you! !